I sent an email quite a few times regarding this field trip. I explained that it would be a day long event. I told them (parents) their students need to be on campus by 8 AM because that’s when we were leaving. Still the day before I got slack and grief for making them show up an hour early for school. This is typically an hour later than most public high school students had to show up. The Ampersand School is a private school in Longwood, Florida. We believe in the individuality of education, we believe in the quality and importance of each student as an individual. To this end I am trying to make my history class as experiential as possible. By definition we’ve missed history. I’m going on with clichés about how you can’t live in the past, or how you can’t rebuild the past. We read The Great Gatsby last year so we learned through the eyes of F. Scott Fitzgerald’s Nick Caraway, that trying to live in your own past or remake the past is literally deadly. No I mean literally in the sense that it came from literature and I mean literally in the sense that it can happen absolutely. I do not mean literally in the new way which it has been redefined, as figurative speech. More on that another time. This field trip is designed in three parts. The first part consists of a one hour stopped to Philippe Park in Safety Harbor, Florida. The park is rich in history, has a Tocabaga Indian mound made of refuse shells from a culture centuries past. It also has a local cultural significance. The second part of our trip is a short back track over Tampa Bay to the Tampa Bay history Center on Old Waters Street. That section of town is historical by itself. But the Tampa Bay History Center has an excellent showcase of that region’s past. Also, there is a special display about Patrick Smith’s A Land Remembered. It’s historical fiction and incredibly accurate and respectful novel about how old Florida was settled, and it’s incredibly significant history in both United States and the world. We’re looking especially forward to that display. The last part of the trip is a walking tour of Ybor City. Ybor city is such a significant place. I am using the word significant entirely too much. God forbid it be overused in an educational setting. Typically you just here “state this” and “Standard that…”I always knew it (Ybor) as the party district when I was at the University of South Florida. It is so much richer than that. Ybor city was a hub of crime and one of the early petri dishes from which The primordial Cosa Nostra oozed. It all started as a way to make money rolling cigars. It didn’t exactly go down as planned. But then nothing ever does. In fact I’ve learned not to plan outcomes. First of all, one student’s mother wouldn’t let her go because she felt the distance equaled a lack of safety. She asked if there was anything that her daughter could do to make it up. I’m afraid that the lesson was purely experiential. Nothing you can do to make that up. There’s no substitute for experience is exactly what I told her. I didn’t read her reply, perhaps wrongly, but I assumed it was going to be argumentative. Another young man didn’t make that 8 AM cut off. In fact, he didn’t make the 8:15 extension either. Let me go back just a minute. I had to pick up a rental van at 7 AM at an airport satellite parking lot. At 7 AM that lot is unattended and the rental office is closed. I was able to find the lot where the vans were parked. There were about 25 vans. There was no way of telling which one was mine exactly. There is, as it turns out, a way of telling exactly which van is yours. I didn’t discover that at a convenient time. There’s a handful of white vans, a handful of black vans. I searched all the black vans first. I checked on top of all the tires and inside the covers of the gas tanks. I finally came upon a beautiful shiny black van with the key readily available in the gas tank cover. I opened the door and looked inside. All the seats were leather and it was very spacious and comfy. I knew that couldn’t be it. 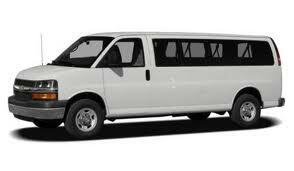 A Gentleman pulled up in a similar van and informed me that those were limousine style pick up vans for the airport. I asked him where my van company was and he pointed to the lot of white vans. I want over and started a similar inspection. I started checking the tires and gas caps. no matter how hard I tried it wasn’t going to work. I reached out and asked a parent if she would like to come because we had one more open spot. She said yes. I said, “Great! You can drive too. That’ll really help, some of the big kids don’t want to get squished into the van.” She was agreeable and my plan was rolling. Now it occurs to me at this moment how easy it is to steal a van near the airport in Orlando. (MCO) Nobody checked my papers, nobody asked for my ID. I’m sure I’m on camera. But I basically told the attendant at their gate that I wasn’t there to park and then get shuttled to the airport, I was there to pick up the van from the rental agency who used their back lot. He let me right in. I left with the van. 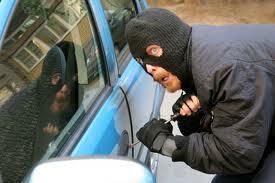 Considering I took the wrong van, I’m going to go ahead and tell you that it was just that easy to steal a van. I just happened to bring it back, and pay. mound left behind by the Tampa Bay Tocobaga Indians. The whole experience was exceptional.